From day one, our goal with Flak Jacket was to create world-class sports equipment. Training and competition can take you from bright sun to overcast skies and everything in-between, so we engineered an interchangeable lens design that lets you adapt. With extra lens sets, youâ€™ll always have the best optics for current conditions, and youâ€™ll be ready for whatever the sun does ten minutes from now. 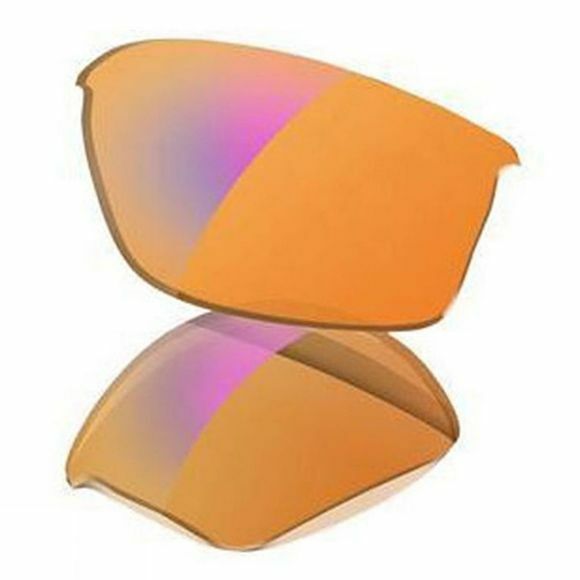 The XLJ lens shape offers more coverage, and multiple options are available. Choose IridiumÂ® lens coatings to reduce glare, balance light, and get optimal performance in your current environment. When glare is blinding, take advantage of the best polarized lenses on the planet. Oakley polarization technology uses a liquid infusion process to bond the polarizing filter at the molecular level. Thatâ€™s how we eliminate the haze and distortion found with conventional technologies and achieve unbeatable glare-cutting performance. Our durable PlutoniteÂ® lens material offers superior impact protection and filters out 100% of all UVA, UVB and UVC. High Definition OpticsÂ® (HDOÂ®) maximizes clarity with patented innovations like XYZ OpticsÂ®, a geometry that maintains razor-sharp vision at every angle of view. Fits standard and Asian fit Flak Jacket frames.